On 7-10 November 2016, a Cypriot delegation of 10 people was hosted in Rome by Active Citizenship Network for a study visit in the framework of the EU project “Patients’ Voice”. The trip was meant to give them a practical insight on protection of patients’ rights, advocacy techniques and strategies and policy building. The 4-day visit included classes and meetings with several representatives of Italian associations with an expertise in the health field. The tours in local hospitals and exchange of views with health professionals and medical directors were also of great interest and appreciated. To celebrate the 10th Anniversary of the European Patients’ Rights Day, Active Citizenship Network has decided to organize a widespread campaign in 2016 in cooperation with some of the national patient associations involved in its network. Architect Yordan Milanov street, № 10, FL 3. Address: 1089 Budapest, Orczy út 2. In the context of the SIP 2016, ACN has been mainly involved in the Working Group 1 titled "Pain as a quality indicator for healthcare". 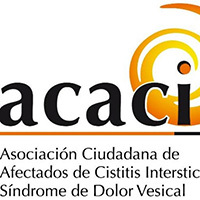 Because of its efforts in the fields of the protection of patients' rights and cross-borderhealthcare, ACN was entrusted with the secretariat of the Working Group 1, while Cittadinanzattiva-Tribunal for Patients' Rights was entrusted with the task of presenting, at European level, an example of good practice realized in Italy on pain treatment. The 6th event of the Societal Impact of Pain (SIP) will address anyone involved in pain policy e.g. healthcare professionals, politicians, representatives of pain advocacy groups, insurances, health authorities, regulators and budget holders. PATIENTS’ RIGHTS HAVE NO BORDERS…AS WELL AS RISKS!